What would you risk for a second chance? Five years after the trip to Scotland that changed her life, Lou is back in the misty, magical country. But this time, she’s not on vacation. When Brian, her old Highland fling, turns up at the scene of some depressing family business, tension mounts between the former lovers. But dealing with Brian is only part of the problem; something wicked is stirring in Scotland. Lou must use all her strength to handle the increasingly desperate situation, but will she be strong enough to battle both a vengeful ghost and her heart? Lou may have thought that she was finished with the witch Isobel Key, but some secrets can’t stay buried forever. 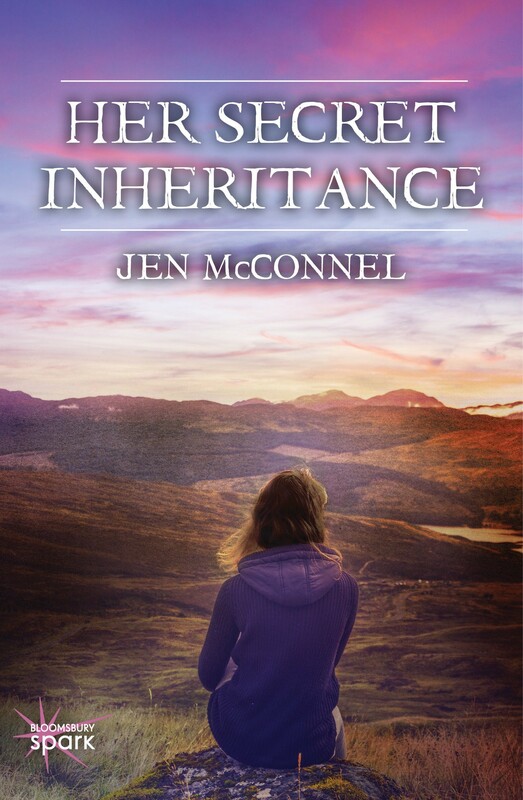 Coming June 12, 2014, HER SECRET INHERITANCE is a story of risk, second chances, and magic. Visit Bloomsbury Spark for more information. Want to find out where it all began? 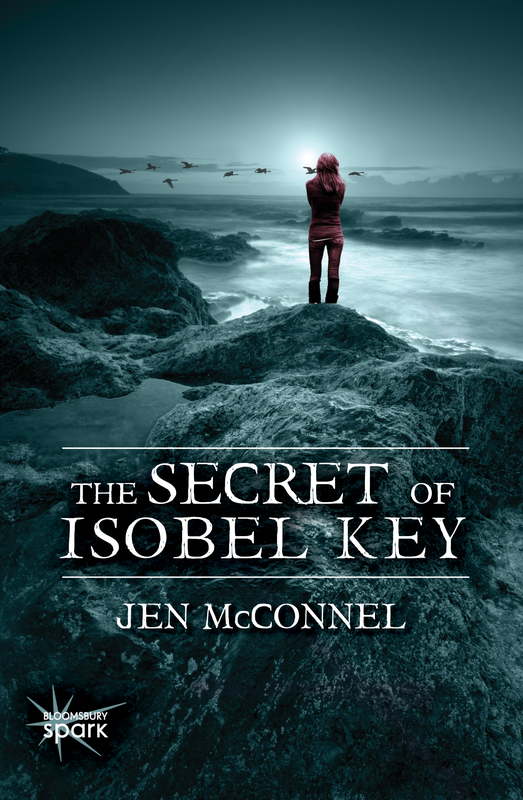 Check out THE SECRET OF ISOBEL KEY now! Jen McConnel first began writing poetry as a child. A Michigander by birth, she now lives and writes in the beautiful state of North Carolina. A graduate of Western Michigan University, she also holds a MS in Library Science from Clarion University of Pennsylvania. 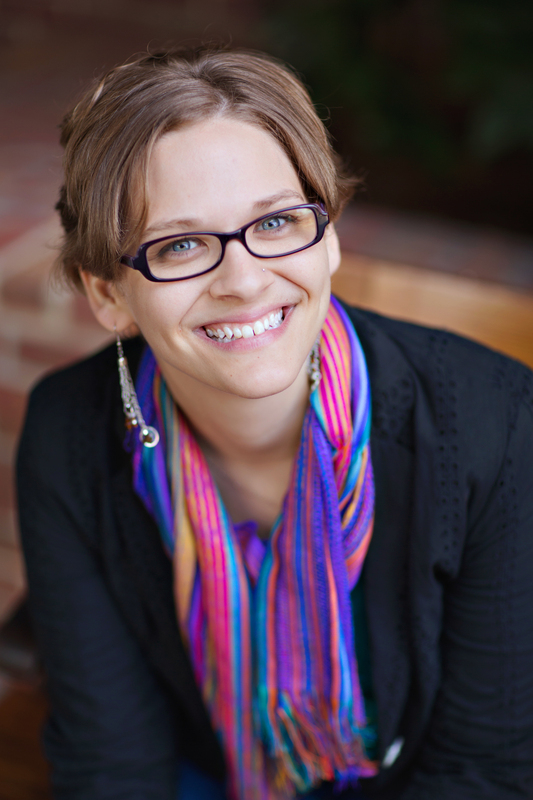 When she isn’t crafting worlds of fiction, she teaches college writing composition and yoga. Once upon a time, she was a middle school teacher, a librarian, and a bookseller, but those are stories for another time. Her debut NA novel, THE SECRET OF ISOBEL KEY, is out now from Bloomsbury Spark, and the sequel is coming in June. She also writes YA and nonfiction. Visit http://www.jenmcconnel.com to learn more. What are you waiting for? Enter the Rafflecopter giveaway now for your chance to win! You’re welcome! Cover is amazing. Can’t wait for the book! What a gorgeous cover! Heading over to Goodreads to mark both of these as to-read (they sound so good! I can’t wait!!!) Congrats, Jen! Jen’s a great writer! I’m sure you’ll enjoy.